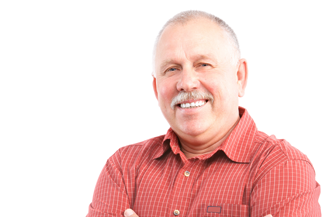 Are dental implants in St John’s Wood the right choice for me? If you can’t remember when was the last time you were able to enjoy life without worrying about your missing or badly decayed teeth, then it’s time to book an appointment with your dentist. Tooth loss is a serious problem for many adults, since they cannot enjoy the simple things in life such as enjoying their dinner with family. Fortunately, modern dentistry has developed a lot in recent decades and your teeth can now be restored in the most natural way possible with dental implants in St John’s Wood. At Aura Dental, we provide a wide variety of implant solutions, so whether you have lost one or several teeth, simply give us a call and we will book a consultation appointment for you. Dental implants in St John’s Wood are very versatile and most patients can have them provided they are in good oral health. Each patient is different and we all have unique dental histories. If you are interested in dental implants, your first step is to consult one of our dentists. Under normal circumstances, we will be able to determine if you are a good candidate for this procedure after examining your teeth and going through your dental record, but in some cases, we may need more information about you. For instance, did you know that patients suffering from uncontrolled diabetes or gum disease are advised against dental implants due to healing complications? If you are unsure about your medical issues, talk to your doctor and dentist and you can find out if dental implants in St John’s Wood are a viable option for you. If you want to have dental implants simply because it’s the popular thing to do, think again. Dental implants are a multi-stepped procedure that requires time and effort. If you are unsure about this treatment, ask your dentist and they can guide you through every step of the process. In addition to ensuring a boost to your confidence, dental implants will restore your oral health, but you should only proceed with this treatment after you consult with your dentist. This entry was posted in Dental implants on 18th January, 2019 by Aura Dental.